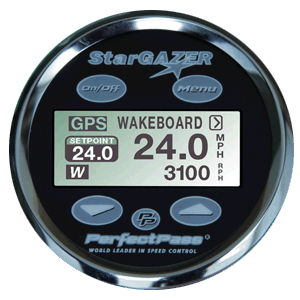 Perfect Pass is the Speed Control of choice for older ski boats with mechanical push/pull throttle cables. This kit will NOT work on new ski boats with "throttle by wire" systems. 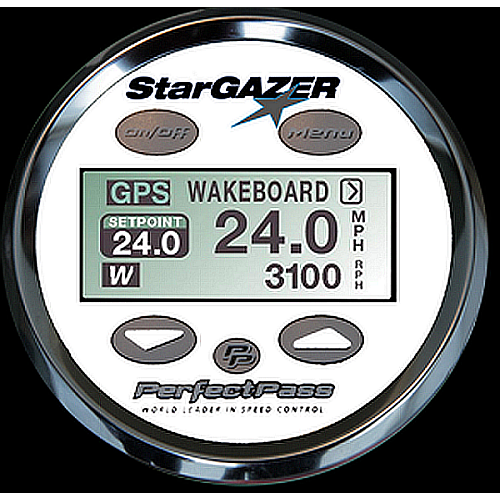 This is a GPS Driven Speed Control designed for Wakeboarding and slalom course use. 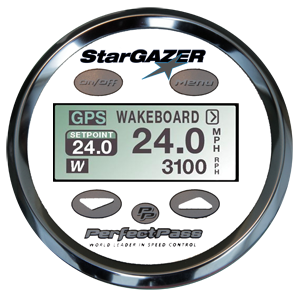 If your boat has an existing Perfect Pass with paddle wheel sensing, and a display with a tachometer on the top half that does not function anymore, but the Perfect Pass continues to work, and your engine mounted servos are working, then you may benifit from this upgrage. This is esentially the same as our complete kit less the servo motor on the engine. Included in this kit is a new display in 3.5" or 5" Black/White, New control Module, New GPS Antenna. NEED TO KNOW: When checking out please include: Boat Brand/model, Engine Brand/Model, Dash Instrument Choice, Place this info in the "Comments section" when checking out. PerfectPass manufactures hundreds of Display combinations to fit and compliment almost any dash cluster. 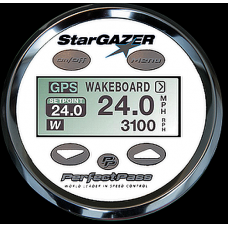 Typically the Display will replace the existing boat speedometer since the PerfectPass speedometer reading is GPS accurate. However, the tachometer can also be replaced. If you do not see one that matches your boat, just ask us and we can likely build one for you. Not sure what size you need. Note: Replacement displays for existing systems purchased from before Jan 2011 may also need a software upgrade or new Master Module. Star Gazer Black 3.5" or 5"
Star Gazer White 3.5" or 5"